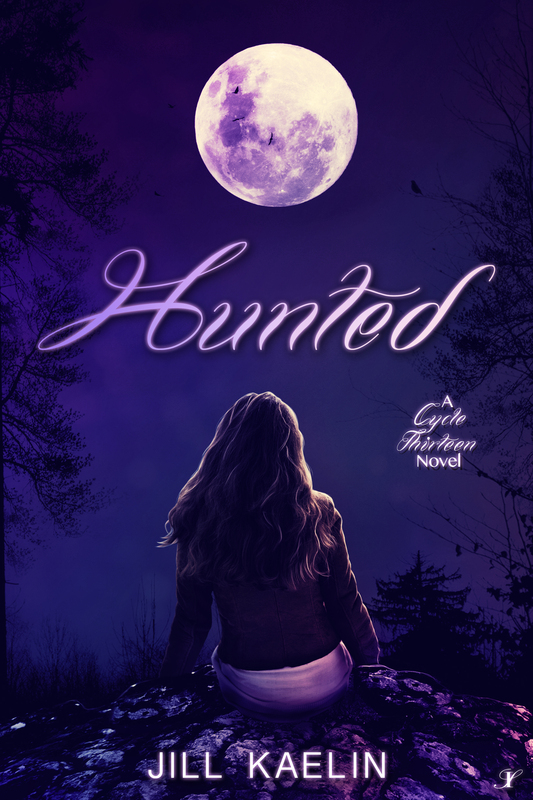 Okay, I’ll admit I raised my eyebrows when I learned that the Unis in HUNTED referred to Unicorns, but ever since ZOMBIES V. UNICORNS, I’ll admit they’re pretty wicked, which is why I’m excited to bring you an interview with Skye from Jill Kaelin’s new novel, HUNTED. My name is Skye Kelley and I live in Hunted. It’s a Cycle Thirteen novel written by Jill Kaelin. My role is hefty…I’m the main character! This story is all about me, my family, my friends, and my ridiculously supernatural life. I didn’t appear in a dream. I came to her because she knew she needed someone like me to make this story perfect. She’s so easy to work with. I pretty much tell her where we should go and what we should do and she just writes it all down for us. Sometimes she tries to control the situation by coming up with new ideas, so I let her tell me what to do once in a while. That would be Jules. Jules is the friend that everyone wants to have. She’s gorgeous, (like so pretty you almost hate her), but sweet as can be. She loves acting and singing. I know she’ll be a big-time Broadway star one day. Jules and I have been friends forever. She’s really the only person that understands me and in the book, I tell her stuff nobody’s supposed to know about me. I would like your readers to know that Unis are just like everyone. We eat, sleep, and breathe…even get sick (although that’s rare). We just happen to have powers from our gemstones that make us special. My gem, Rose Quartz, is a pretty special gem, as you’ll find out when you read Hunted. It certainly keeps me busy. I learned about love in this book. It’s a pretty complicated thing. I believe it’s almost tangible when it’s as strong as it is with me and another character. I don’t want to spoil anything for you, but finding true love, the kind of love that makes you feel like you can’t breathe without them around, is pretty spectacular. I never thought it would happen to me in this cycle. I thought I was destined to be alone during my thirteenth life. Boy did that change. Is there anything in your story you wish you hadn’t done? Why? I don’t think there was anything I wish hadn’t happened. Everything happens for a reason, I believe. If I hadn’t gone through the things I went through in this story, I wouldn’t be who I am. Sometimes experiences, like the ones I go through in Hunted, make you a better version of yourself. My main motivation throughout the entire story is love. Isn’t that everyone’s main motivation? My main adversary is Regnir Vingus, III. He’s apparently been after us for a while, trying to kill all of the Unis on the planet. In Hunted, he comes after me and it’s pretty frightening. I would’ve liked to have caused some physical pain to Portia at times, but my author said that nice girls don’t do things like that. Portia is the popular girl at school that everybody wishes they could be but nobody really likes…she tries to steal my boyfriend. I want to tell everyone that my story is different. Unicorns are making a comeback, have you noticed? I thought about facing Regnir on my own to protect my family. Big mistake. Not telling Jules my secret sooner. I could’ve confided in her years ago and not been so alone. If I got a tattoo, which would be a big IF, I would get the number 13 on the inside of my wrist. It seems to be my lucky number. Why Hunted, of course! Oh, you mean that I have read…okay. Well, like every other teenage girl I’d have to say Twilight. No. No thank you. Never. I think they could name it picky. It’d be a mix of pink and purple, sort of like the beautiful cover design of my book. But they’d call it picky because that’s how I am. My tastes are very specific. I like to think I was easy to write. My author seemed to enjoy working with me. I’m a good girl, so the worst thing I’ve probably ever done is lie. I tried lying to my parents, but it’s hard to do when they have powers that feel emotions. My dad could tell right away. I love my parents, but man does it stink to have them know everything! I really like dressing up. I don’t get to do it in my book. I’ve tried to convince my author to write something where I get to wear a dress and high heels, but she’s yet to work that in for me. Maybe in book two??? I hope so.